Map of Aylesbury Buckinghamshire - On this page is an interactive street map of Aylesbury, showing the town located in the county of Buckinghamshire, England. Aylesbury Map: Above is a Google map of Aylesbury in Buckinghamshire, giving an overview of the town. To get an Aylesbury town centre map, hit the zoom button (+) twice or CLICK HERE. You can then view the town in more detail and find facilities within the town centre. Also find individual maps for popular places, tourist attractions, amenities and landmarks. There are also maps for most of the villages surrounding Aylesbury, including Stone, Bierton, Stoke Mandeville, Hartwell and Weston Turville. Over the coming months we will be adding lots of maps showing the locations of attractions and facilities in the Aylesbury area and surrounding villages. The aim is to provide a detailed map for just about anything you might be looking for in the Aylesbury area. The maps will be large, printable and interactive and we provide street views where possible, for even more detail. Although most people use Sat Nav these days, it is always helpful to have a map to hand in case of emergencies. I still use traditional maps, so I am sure that plenty of you do too. 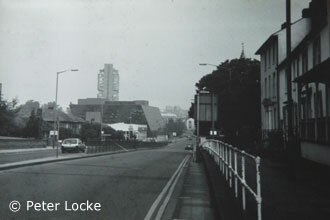 We are also posting some interesting photos of Aylesbury, both old and new. There will be lots of black and white images of Aylesbury from the 1970's, and where possible what those areas look like today. 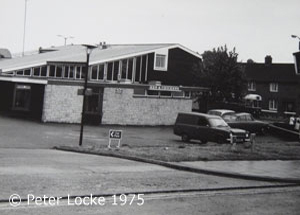 In particular we have many photos of Aylesbury pubs, many of which have now disappeared, closed down or been demolished. Visible on this Aylesbury map are: Southcourt, Walton, Bedgrove, Bierton, Broughton, Lower Hartwell, Meadowcroft, Quarrendon, Fairford Leys, Gatehouse Industrial Area, Rabans Lane Industrial Area, the A41, the A418, the A4157, Wendover Road, Bicester Road, Hartwell, Aylesbury Park Golf Club and more. Use the zoom in feature (+ button) to get lots more detail and find hundreds of facilities in Aylesbury, Buckinghamshire. Google Street Views: Where possible I have tried to include Google street views of Aylesbury locations to make it even easier to find places. You can use these to simulate driving along nearby roads to spot landmarks and road signs, find places to park etc, thus giving you the feel that you have already been there. Find tourist attractions in Aylesbury, places to visit in Aylesbury, schools in Aylesbury, pubs in Aylesbury, old photos of Aylesbury, shops in Aylesbury, sports facilities in Aylesbury, health facilities in Aylesbury, restaurants in Aylesbury, supermarkets in Aylesbury, streets in Aylesbury, hotels, guest houses, bed and breakfast and accommodation in Aylesbury and much, much more. Aylesbury Weather: I thought it might be useful to include an Aylesbury weather forecast on this page, so that you can view the latest weather in Aylesbury and see the weather in Aylesbury for the next 7 days. 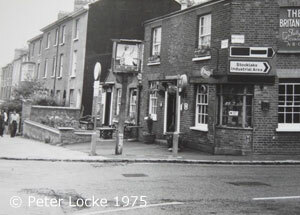 Aylesbury's Lost Pubs: I have just added a new page for Aylesbury's lost pubs. That is pubs in Aylesbury that have been demolished to make way for new buildings or changed use ie to a restaurant. The photos were taken in the 1970's when huge changes were made in Aylesbury and much of the old town was demolished to make way for horrible concrete office blocks and shops. 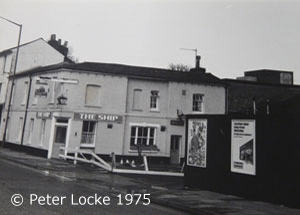 Shown above are just 3 of Aylesbury's closed down pubs, from left to right, the Britannia, the Hen and Chickens and the Ship. More of Aylesbury's lost pubs will be added soon. View the page here: AYLESBURY'S LOST PUBS where you can find old photos of the County Arms, the Three Pigeons, Ye Olde Harrow Inn, the Barleycorn and more. This website is a work in progress but if you have ideas for maps that you would like to be included please let us know, we are always happy to add new pages to the site. For a small annual administration fee, I might consider adding local businesses, whereby you would get your own dedicated webpage on the site. Contact Steve on our contact page if you think you may be interested. Got any old photos of Aylesbury? - If you have any old photos of Aylesbury that you would like to share with our website visitors, attach them to an email and send them to Steve (contact). We will post them on the website and give you a credit. Please only send photos when you know the source. 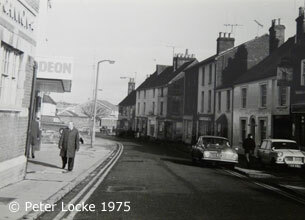 It is always interesting to see how Aylesbury looked in the past as it has changed so much, even since the 1970's and 80's. 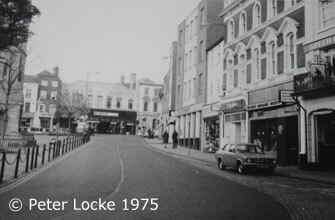 Aylesbury in the 1970's/80's: The images left to right are of Cambridge Street, Market Square and Walton Street, looking towards the town centre from the Walton Road end. Aylesbury Tradesmen: We are presently adding a number of new pages to help you find the best local Aylesbury tradesmen and services. Each page contains a map showing relevant locally advertised tradesmen who are currently listed on Google Maps as registered businesses in the area. We will also be including links to the Rated People trades review platform so that you can send in you job for a free quote from recommended local tradesmen, and hopefully choose the best person for the job. Current pages include those for handymen, plumbers, carpenters, electricians, tilers, gardeners and more.